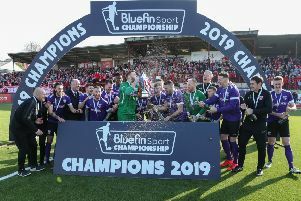 Larne may be the underdogs but they have some serious heavyweight support from the world of football for this weekend's Irish Cup quarter-final against Ballymena United. Everton boss Sam Allardyce and Southampton hero Matt Le Tissier are among several high-profile names backing the Harbour Rats to see off David Jeffrey's Sky Blues on Saturday. What began as a fan's selfie competition by the club to promote the match, has snowballed very quickly. Here's a quick look at just who has been backing the Invermen on social media.